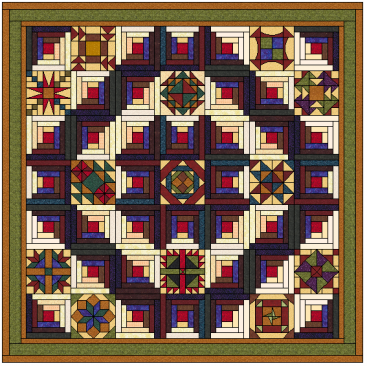 Overbrook Quilt Connection is home to a delightful selection of quilting supplies including patterns, books, notions, stencils and more. 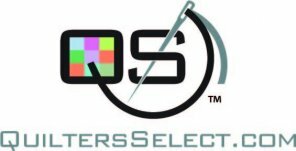 Here, you’ll find over 2000 bolts of premium quality cotton fabric in both traditional and contemporary styles to suit any quilting project. 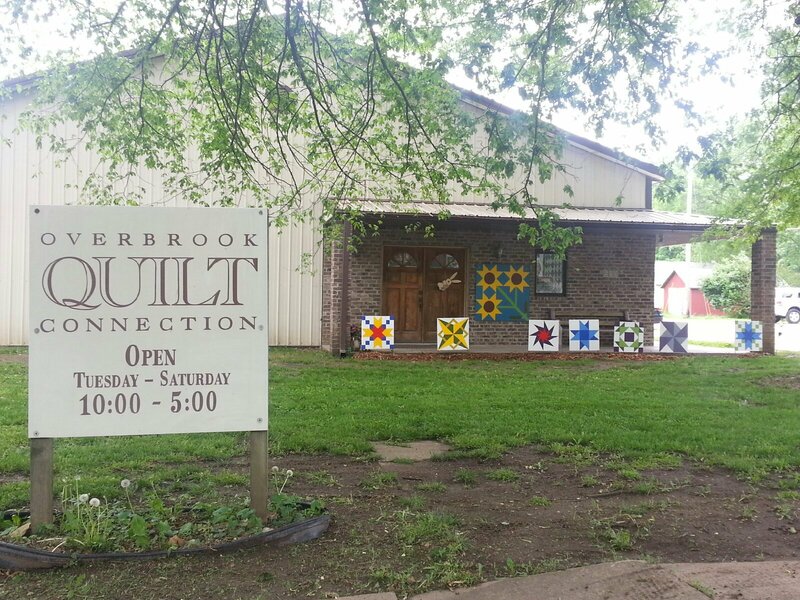 Located at 500 Maple, in historic Overbrook, Kansas, our shop features a friendly, creative atmosphere where the staff is passionate about helping customers find the products and services they need to craft beautiful quilts that will be loved and cherished for years to come. 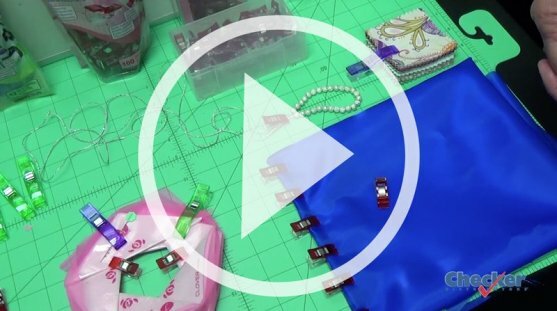 Drop by our shop, or visit us here online, where you’ll always find great product variety, lots of inspiration, and ongoing support throughout your quilting journey! Come into OQC on the first Saturday of each month to pick up your block. This year's colors will focus around Kansas Troubles and there will be two finishing kit sizes available. January 5 begins our adventure. The pattern and the first block is $25.00. 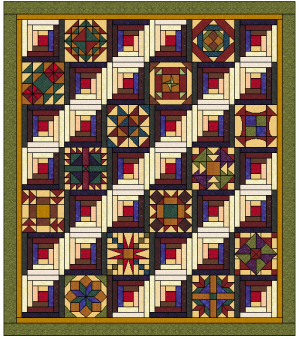 Bring your finished block on February 2 and get February's block free. 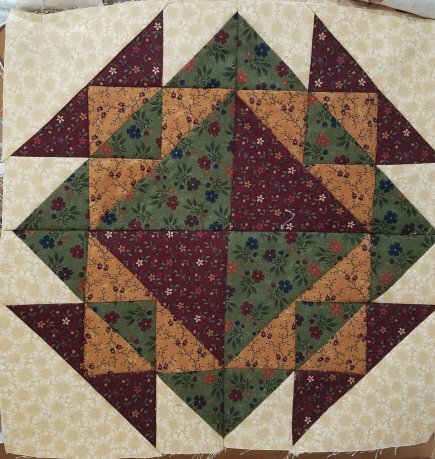 Continue to bring in your finished blocks on the first Saturday to get a free block. There will be organized demos at 8:30, 9:30, & 10:30. Linda will give you tips about the block, share what is new, and we encourage everyone to bring a show-n-share. We love to see what you are working on and finished projects are a real treat. Watch our video on facebook if you can't attend the demos. If you live too far away, I will be happy to mail your blocks for $5.00 each month. Call OQC 785-665-7841 to sign up or come on in to get started. Order a quilter's boot here. See how Cake Mix Recipes work and order them here.